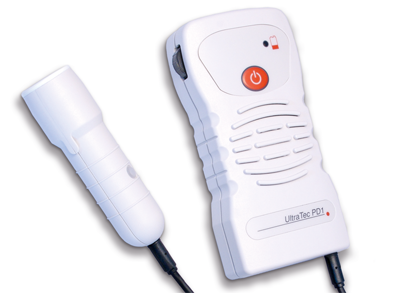 Ultratec Direct - Buy Dopplers Online Direct from Ultrasound Technologies Ltd. Please ensure you have read our Terms of Sale before purchasing from Ultratec Direct. 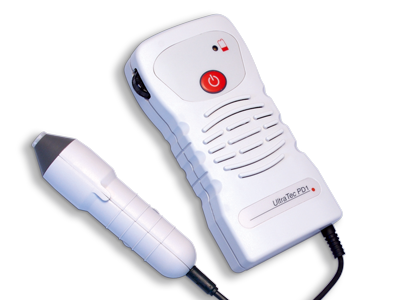 High quality audio pocket Doppler for the detection of the fetal heart and placental blood from from 8 - 10 weeks of gestation. 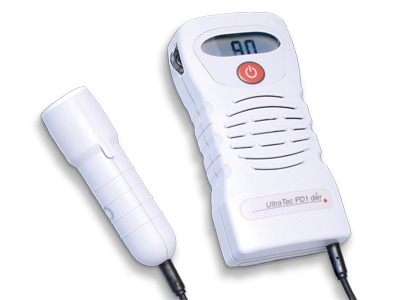 The latest version of the popular PD1+ Doppler with new auto correlation software and longer battery life. Simple to use water birth doppler with water proof transducer and water resistant main unit, using software auto correlation for reliable heart rate detection. 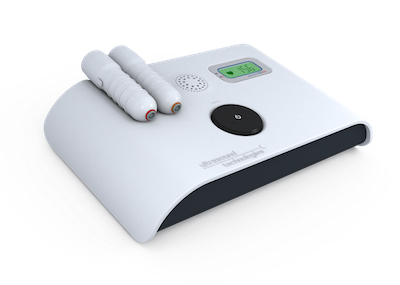 Ideal vascular doppler for blood flow detection for use by chiropodists and podiatrists. High accuracy vascular Doppler for blood flow detection for use by vascular specialists. 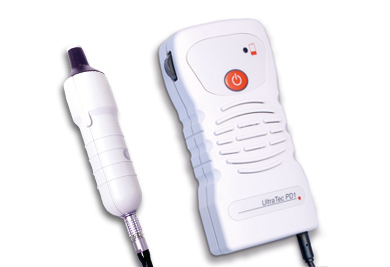 High sensitivity pocket Doppler with interchangeable probes. 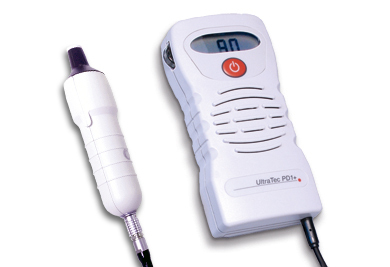 High sensitivity pocket Doppler with interchangeable probes and HR display. High sensitivity desk topDoppler with interchangeable probes, HR display and mains power operation. One obstetric or vascular probe is included as standard. Supplied with Gel, Operating Instructions and 3 year warranty. Additional accessories purchased with a Doppler are shipped without additional charge. Accessories purchased without a Doppler will have an additional shipping charge added at the checkout. 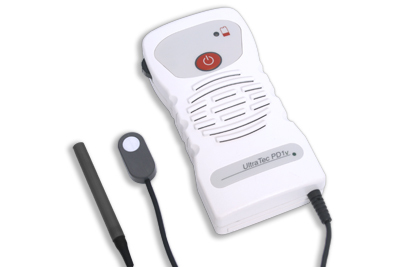 Audio headset for connection to all PD1 Dopplers. Includes 2 rechargeable 9V batteries and a mains powered battery charger. Additional coupling gel for use with all PD1 series Dopplers. Products shown are supplied complete with 3 year warranty (unless otherwise stated), carry bag, gel, battery, operating instructions and delivery to your home, office or clinic and including VAT where applicable. These offers are only available from UltraTec Direct and for delivery up to 31st December 2019, they can not be combined with other offers. By purchasing from UltraTec Direct you are dealing directly with the designer and manufacturer. This reduces the cost to you and also ensures you the very best product and support. All products are manufactured in our own factory in the United Kingdom to the very highest standards providing a performance and after sales support that is second to none.